Pride And The Road To Ruin. 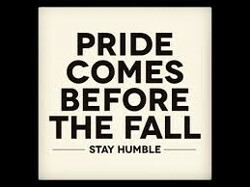 Pride is part of human nature, is a very dangerous sin, and has practically wrecked the human race. CONTINUE READING: Pride And The Road To Ruin. Excellent post and scriptures you have shared. Thank you for the inspiration and motivation.